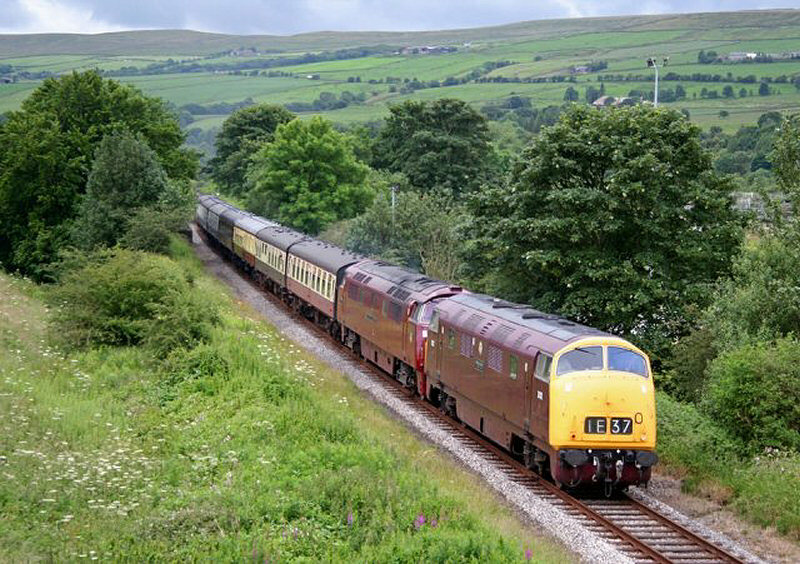 A mostly photographic record of Western Champion's visits to Preserved Railways and Special Events since gaining mainline certification. 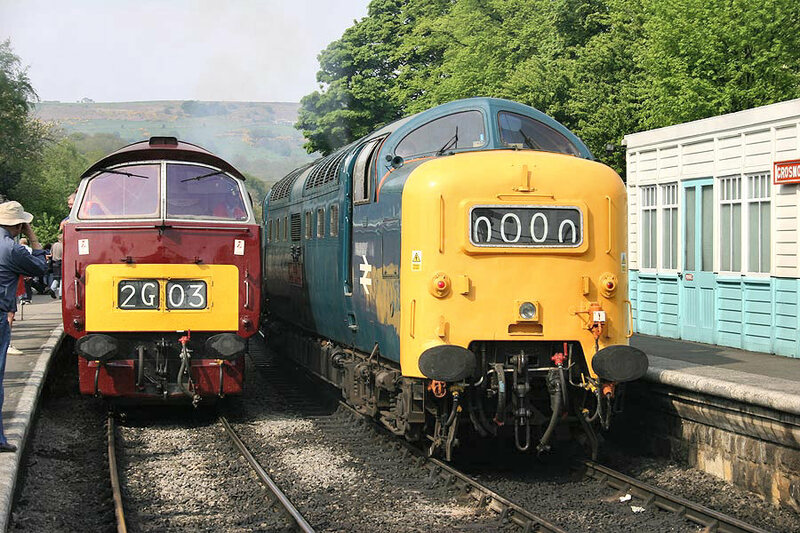 Click on any thumbnail to enter the event gallery. 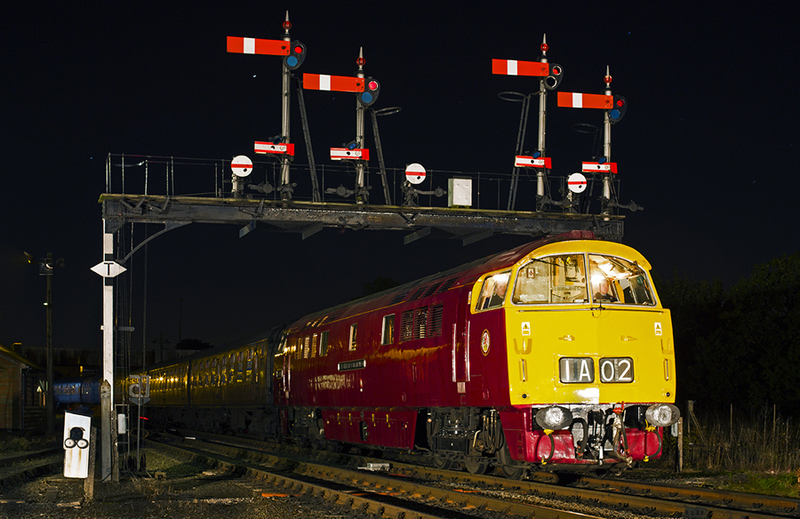 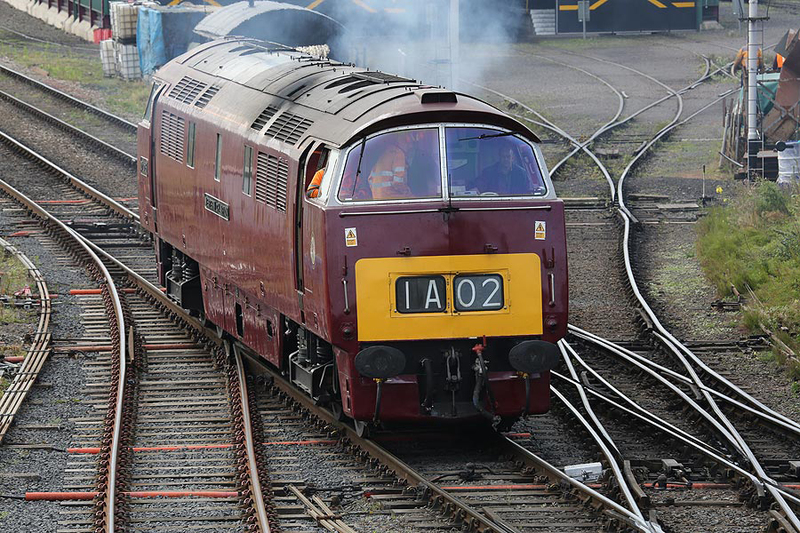 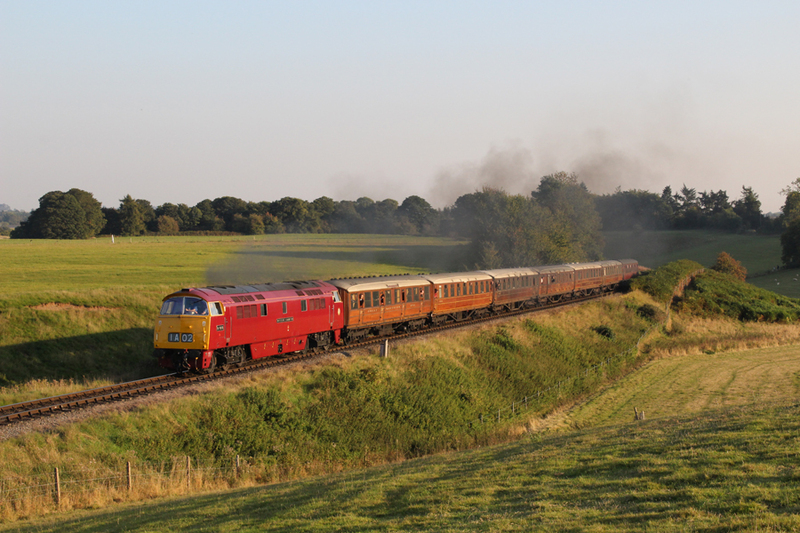 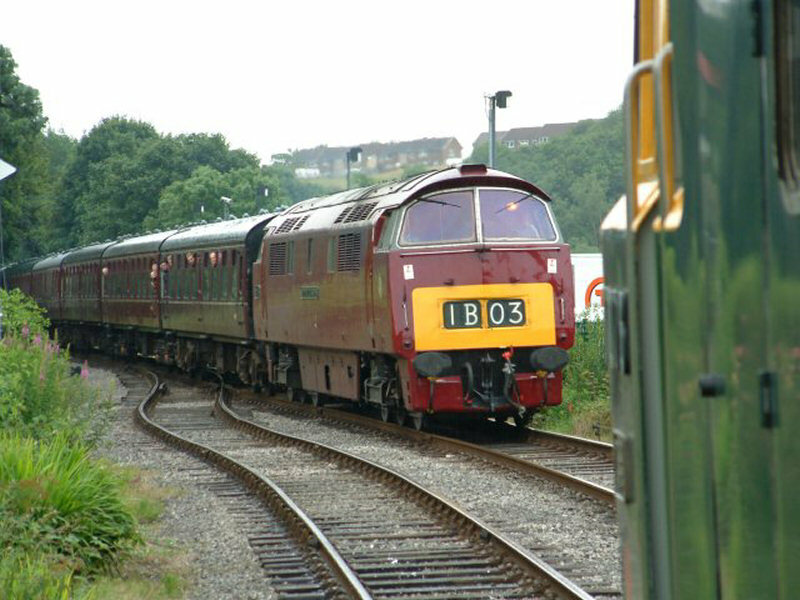 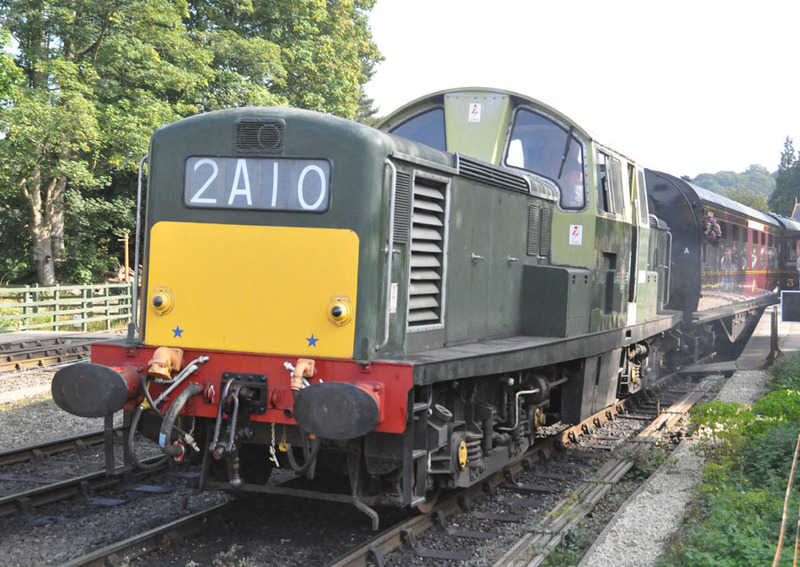 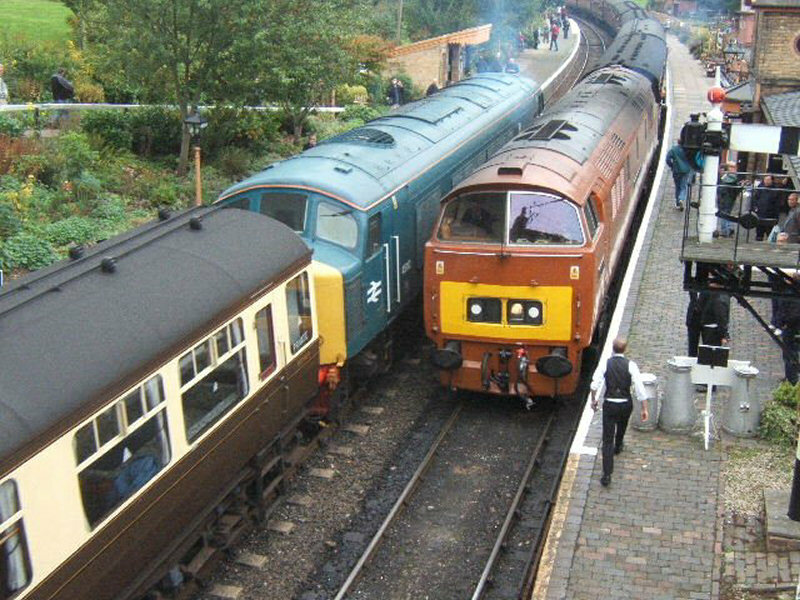 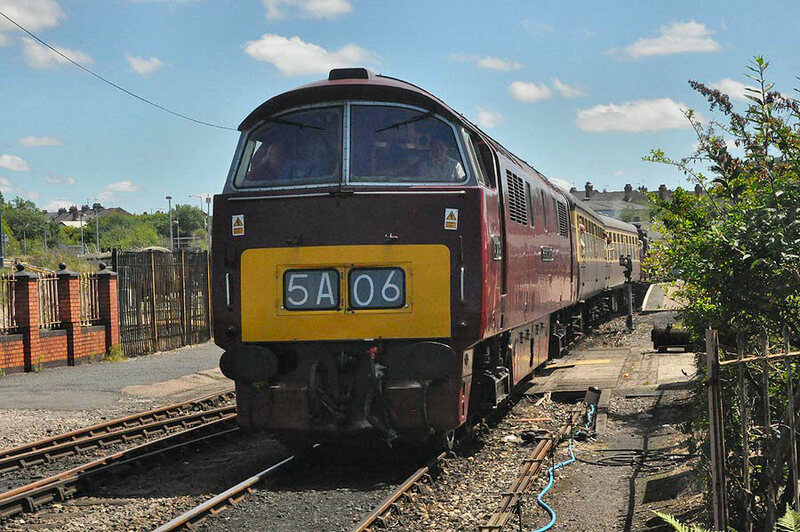 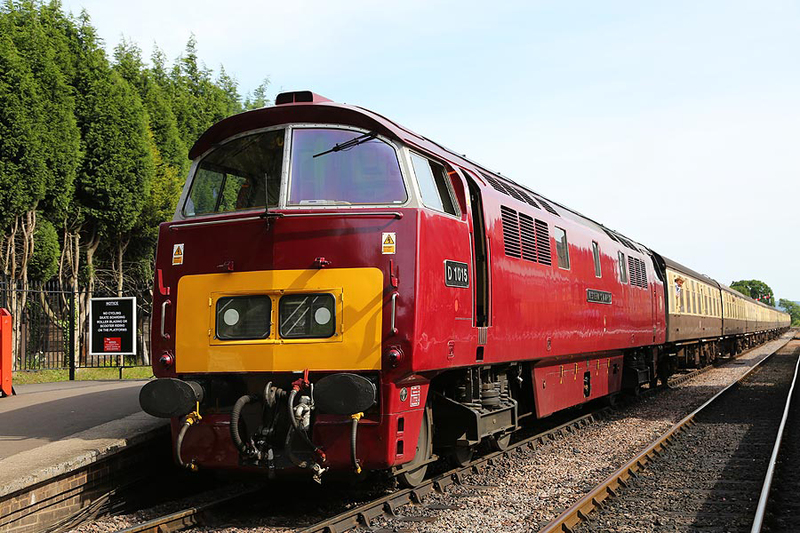 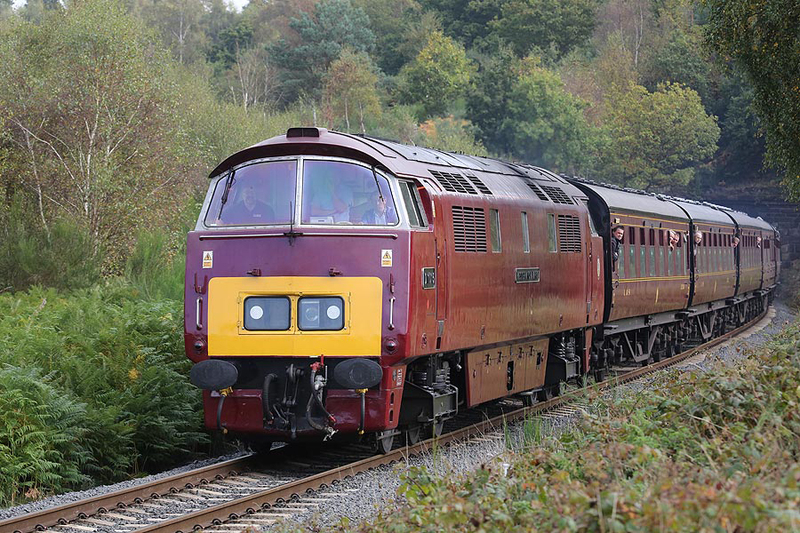 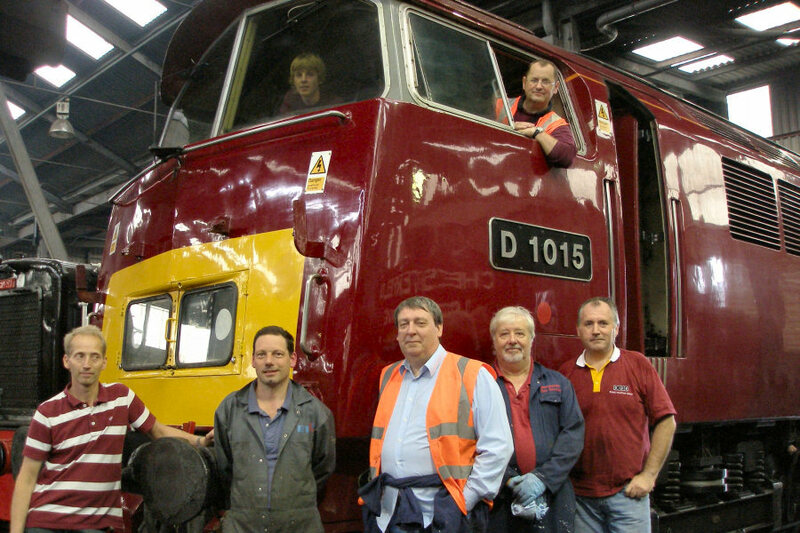 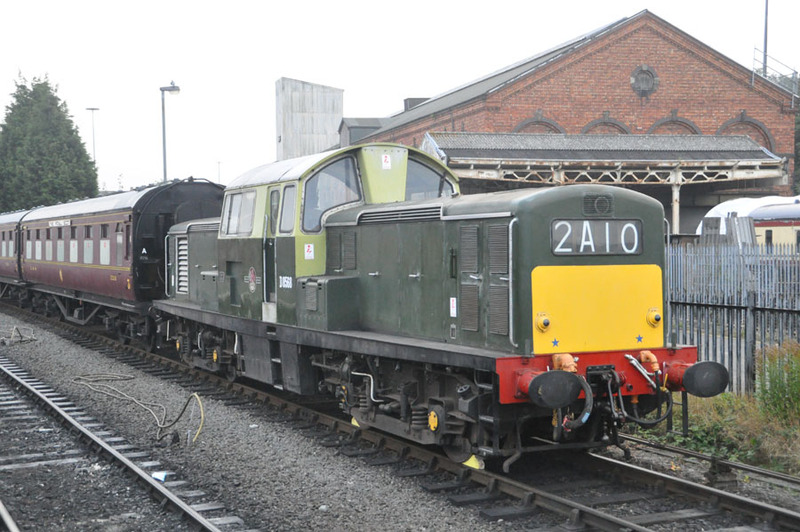 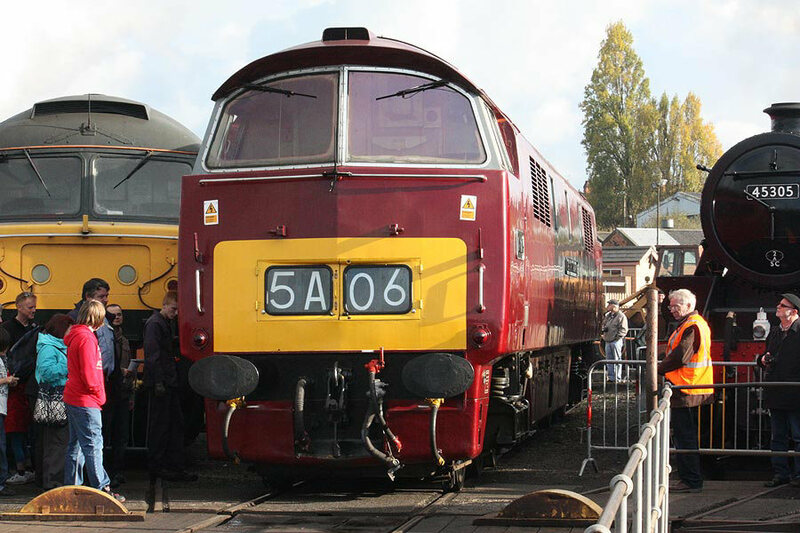 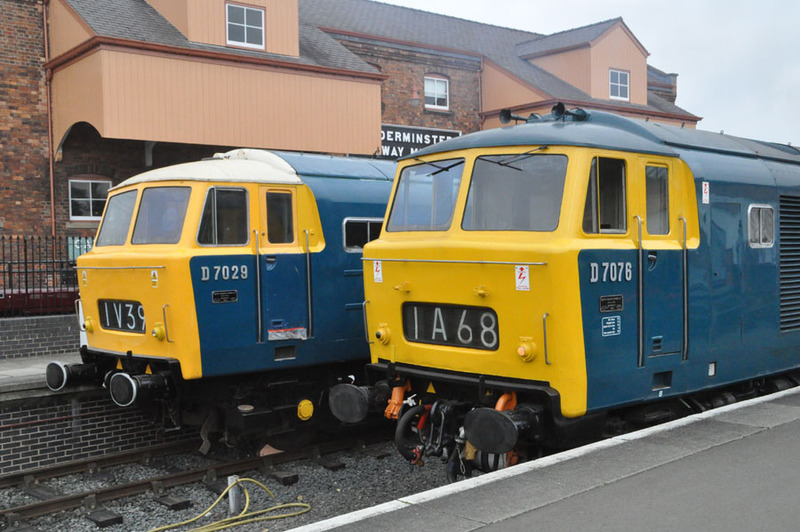 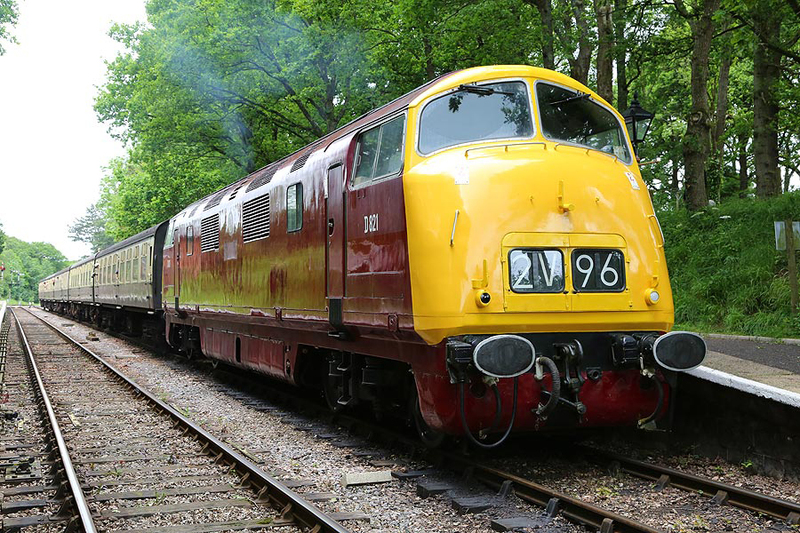 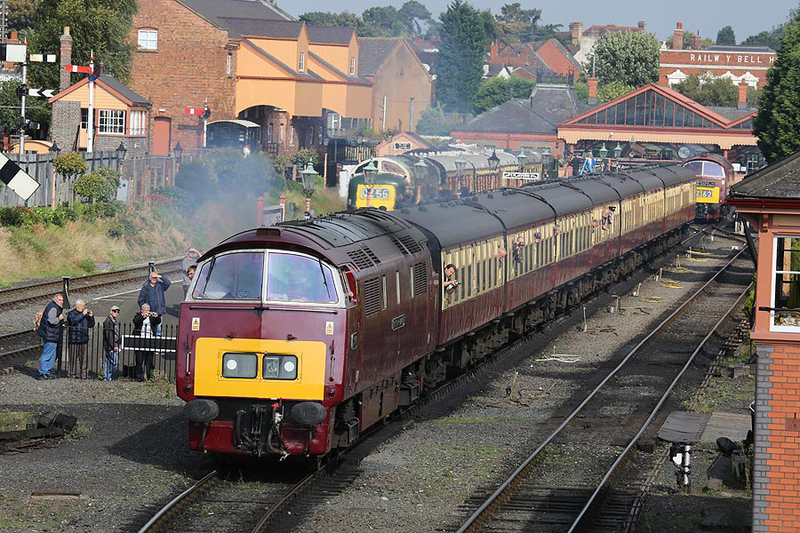 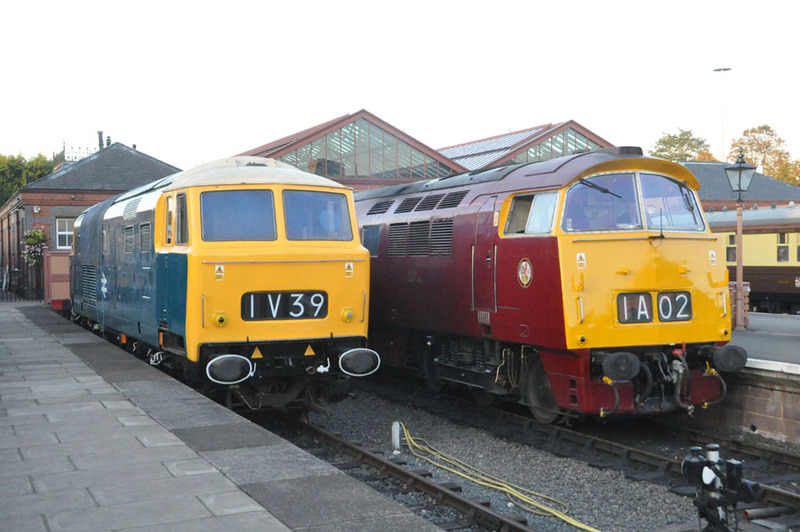 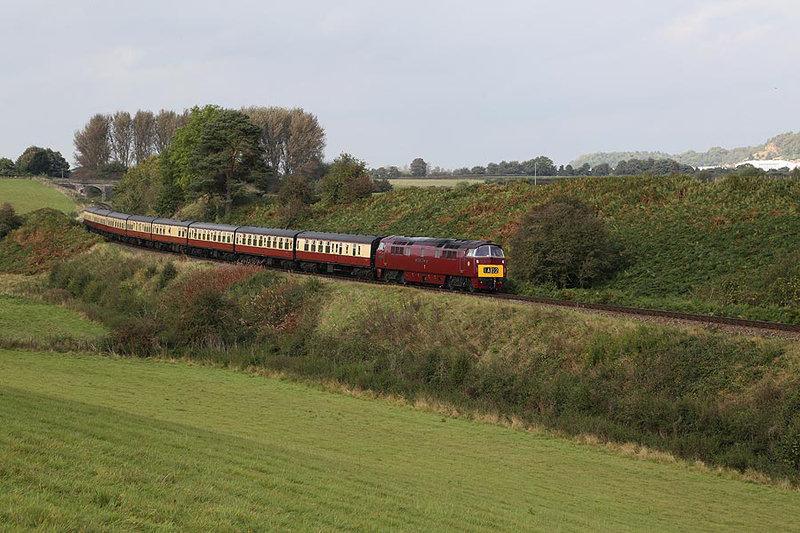 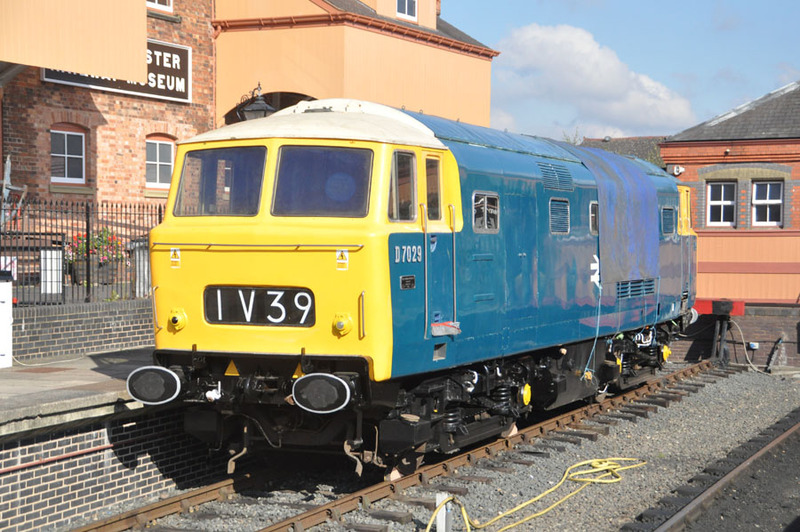 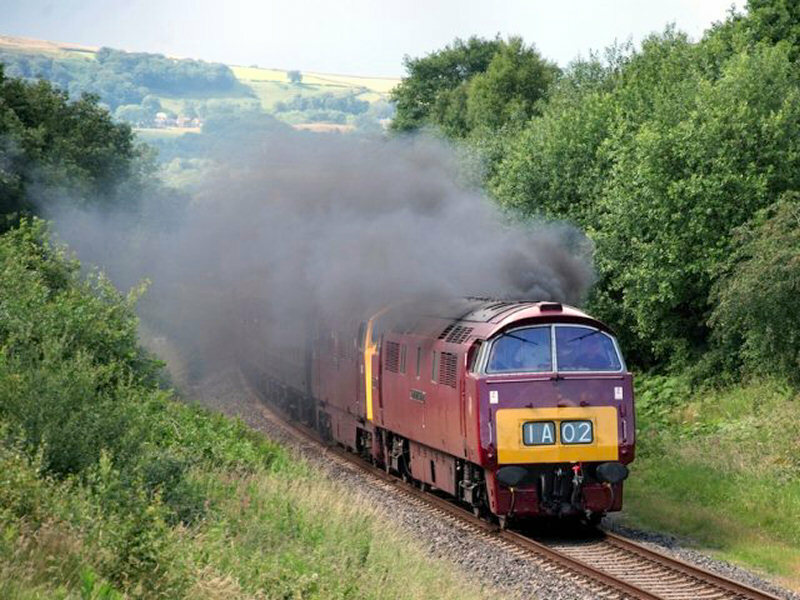 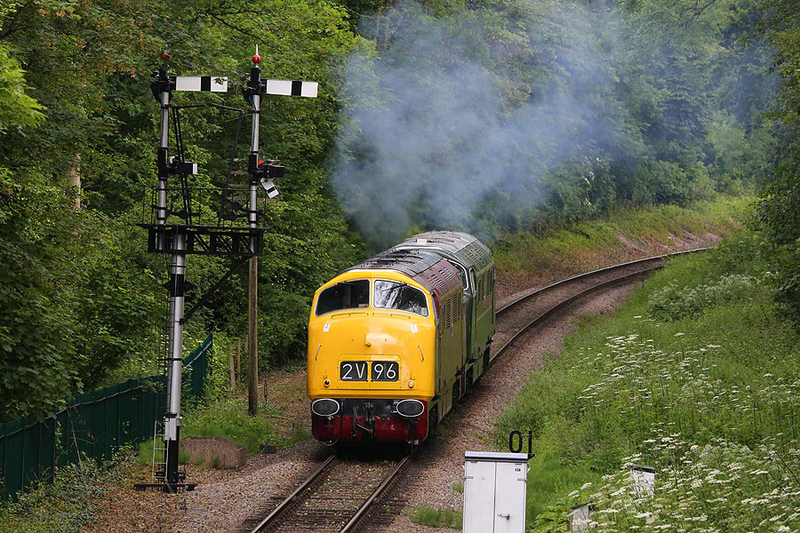 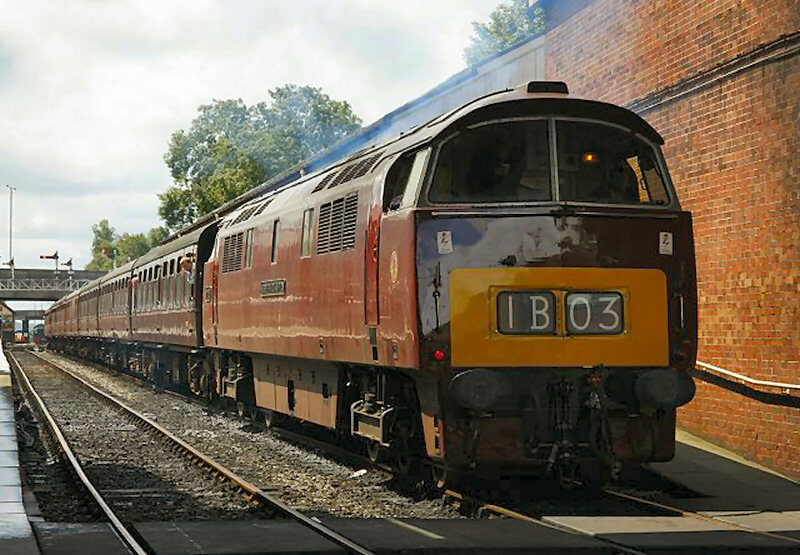 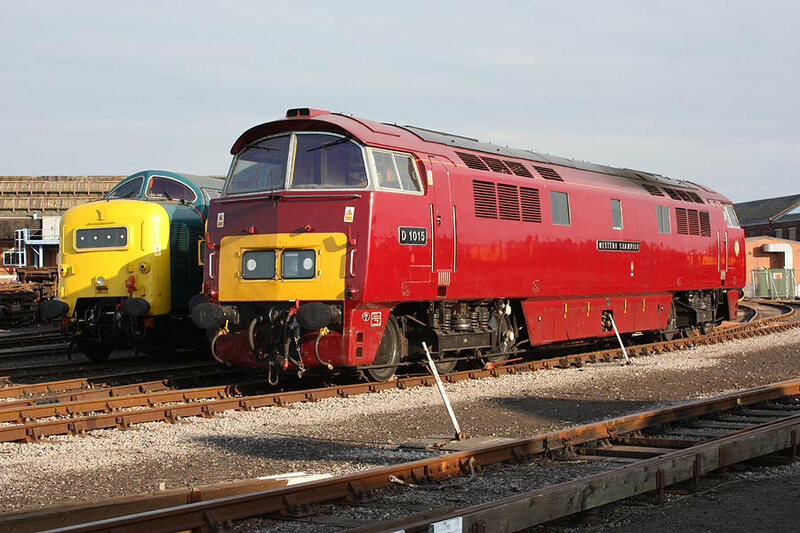 D1015 was invited to attend all three days of this years Severn Valley autumn diesel gala. 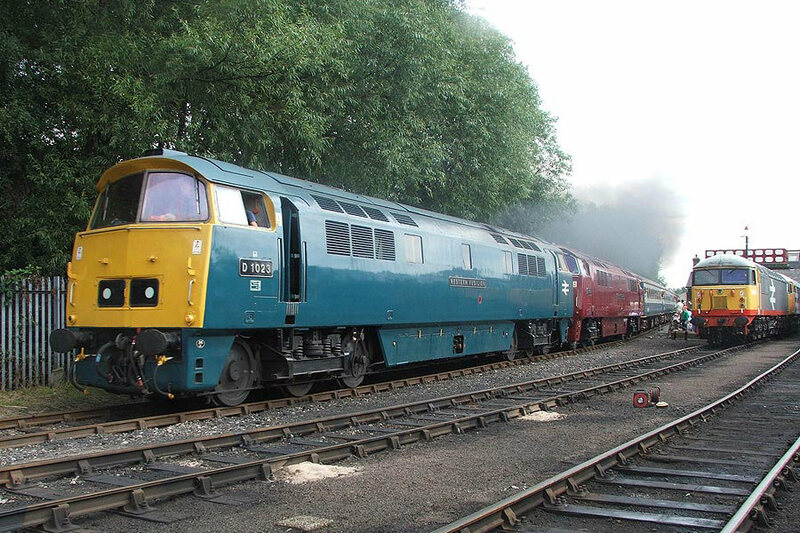 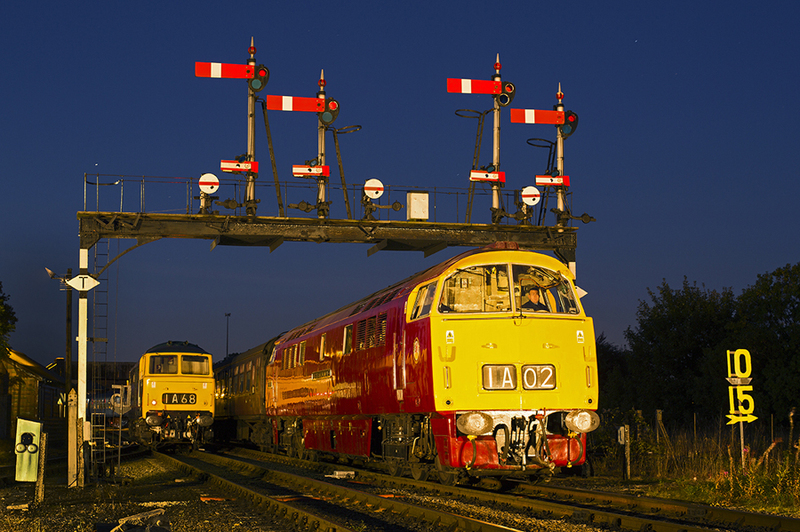 Arriving Wednesday evening from Washwood Heath, with 40 106 and 50 044 for company. 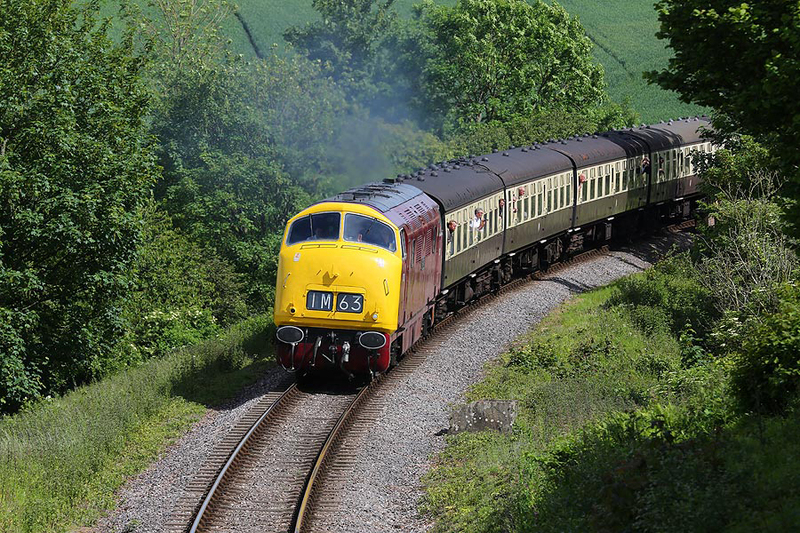 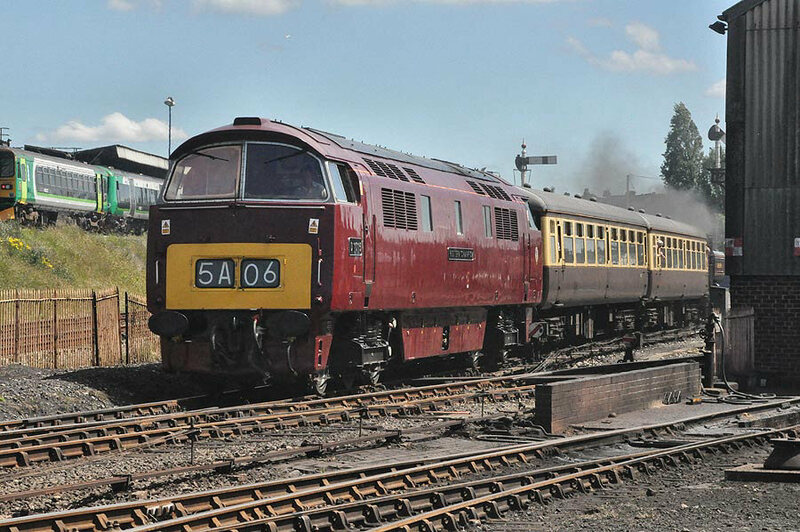 D1015 performed well all weekend, passing its sister loco D1062 on a number of occasions up and down the line. 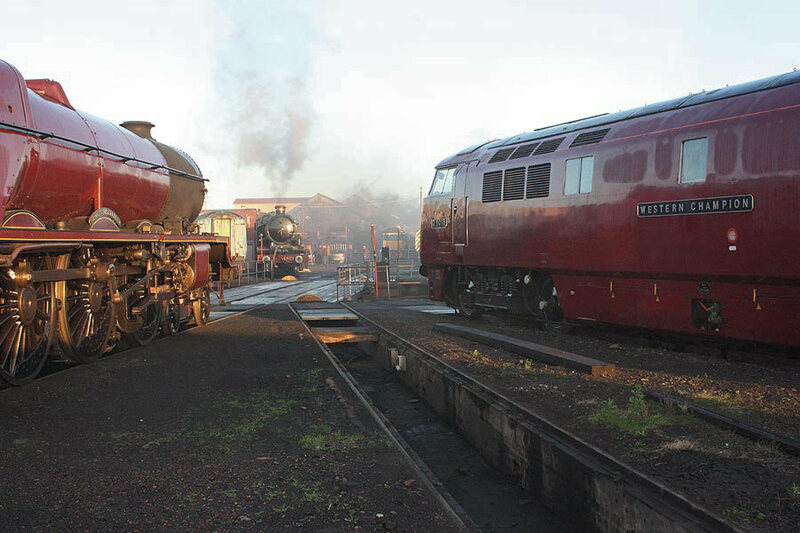 Below are a number of pictures courtesy of Paul Winter. 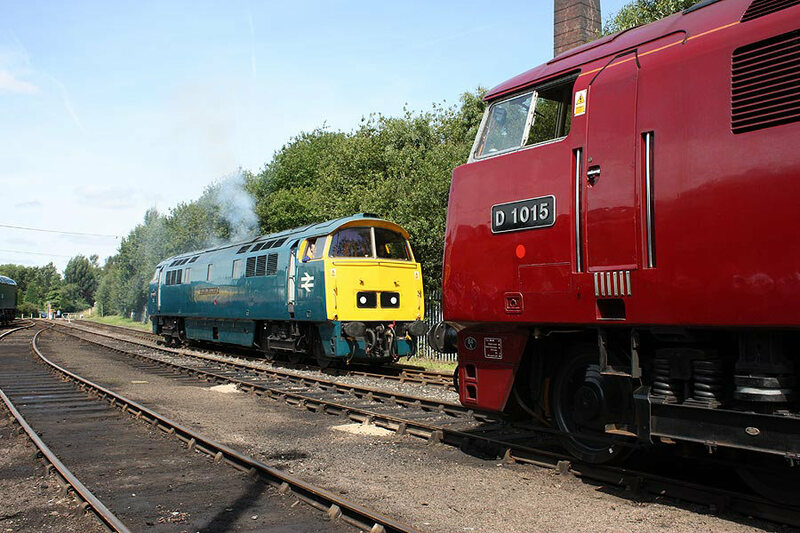 D1015 and D821 starred alongside the WSR's home fleet of D832, D1010 and D7017, to make this an excellent weekend for fans of hydraulics, which had the added bonus of superb weather all weekend. 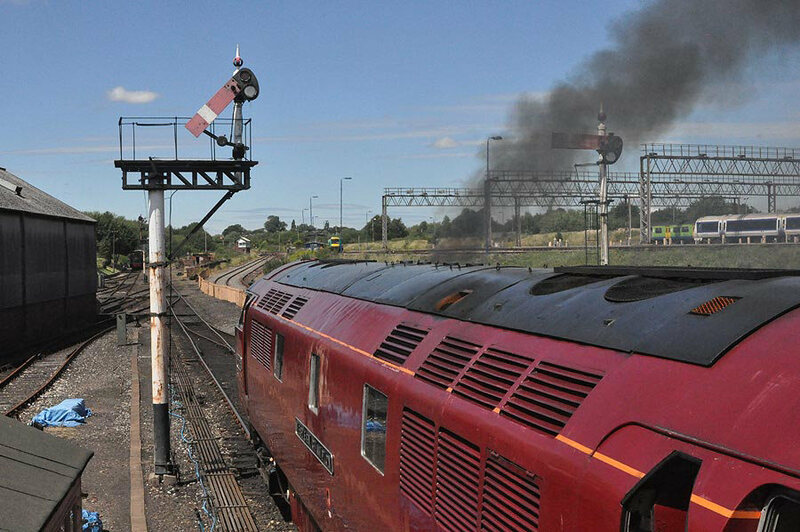 The well loaded trains over the three days, proved their ongoing popularity. 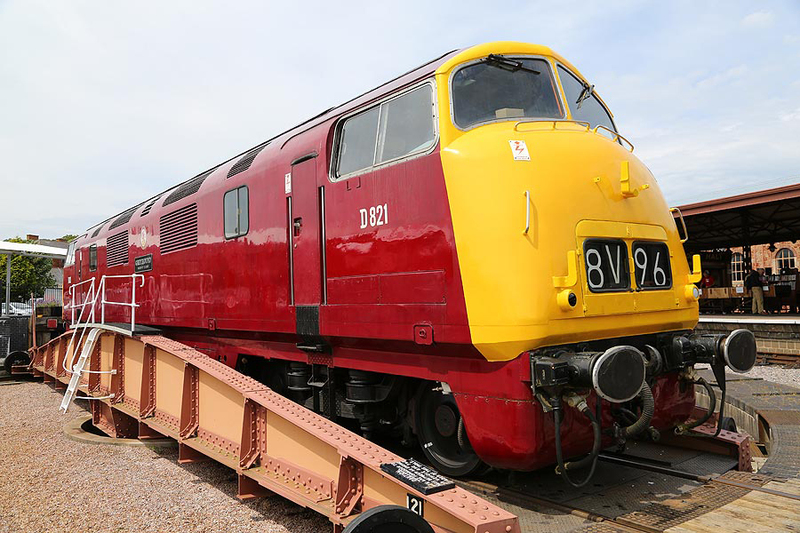 Following this weekend, D821 will now be taken out of traffic, for essential maintenance to take place. 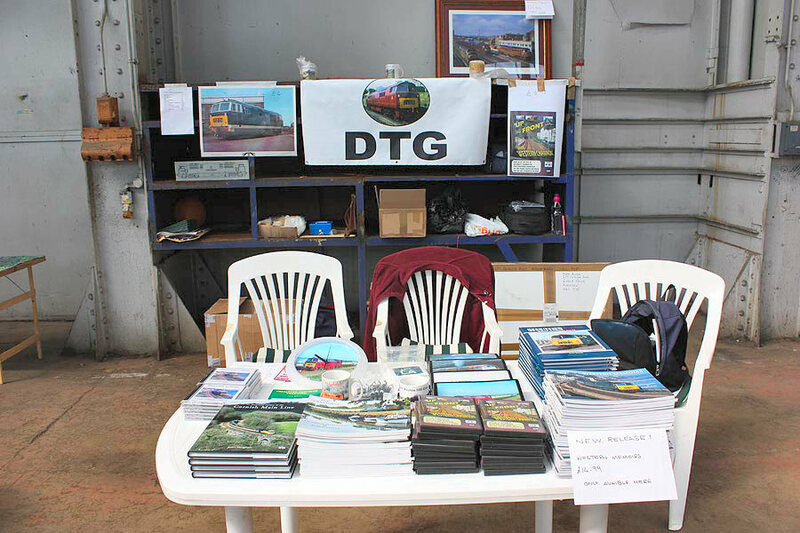 Many thanks to everybody who bought souvenirs from the DTG Sales stand, which was on Minehead platform on the Saturday and to DTG Volunteers who manned the stand. 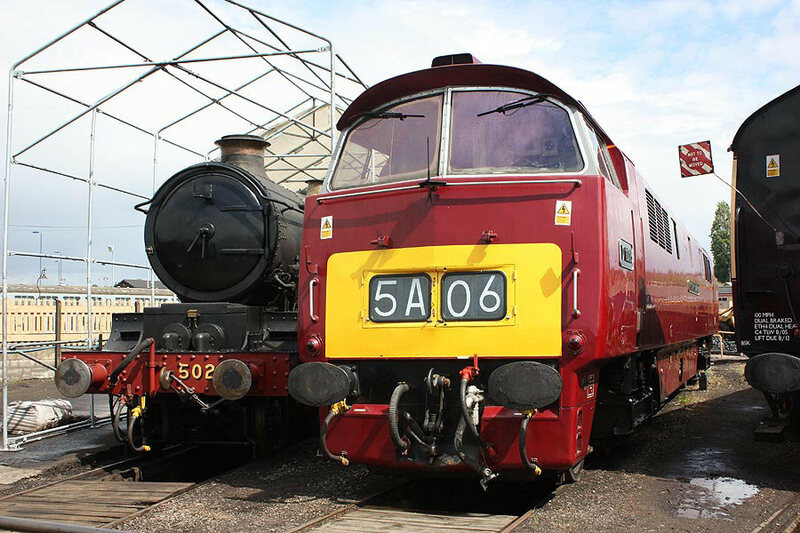 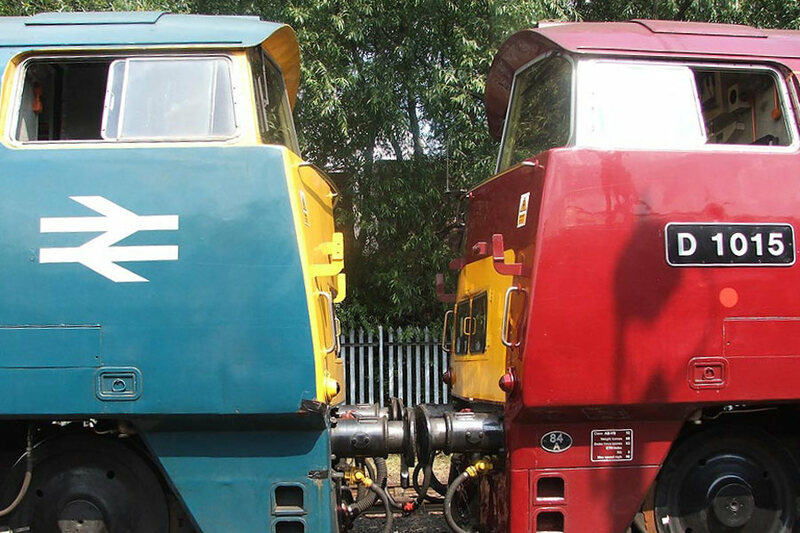 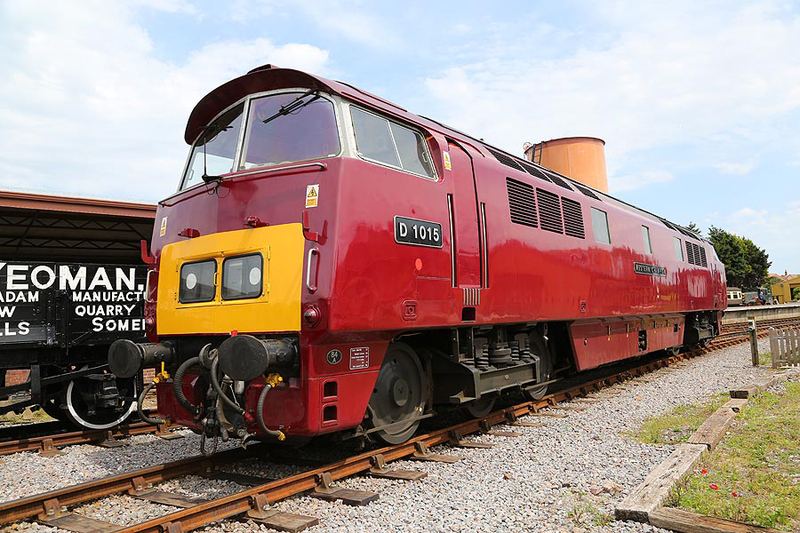 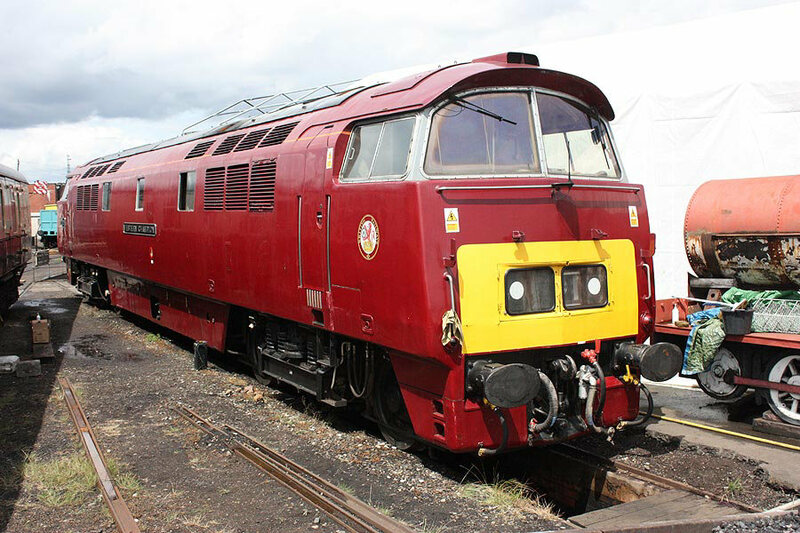 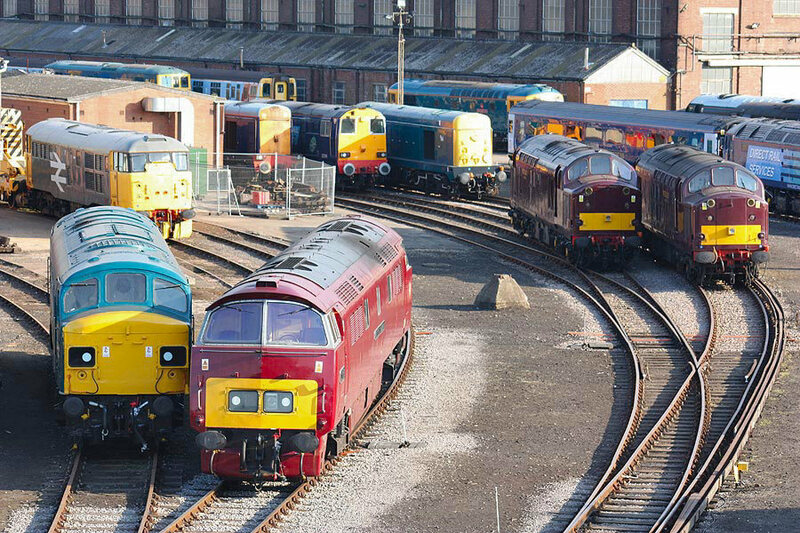 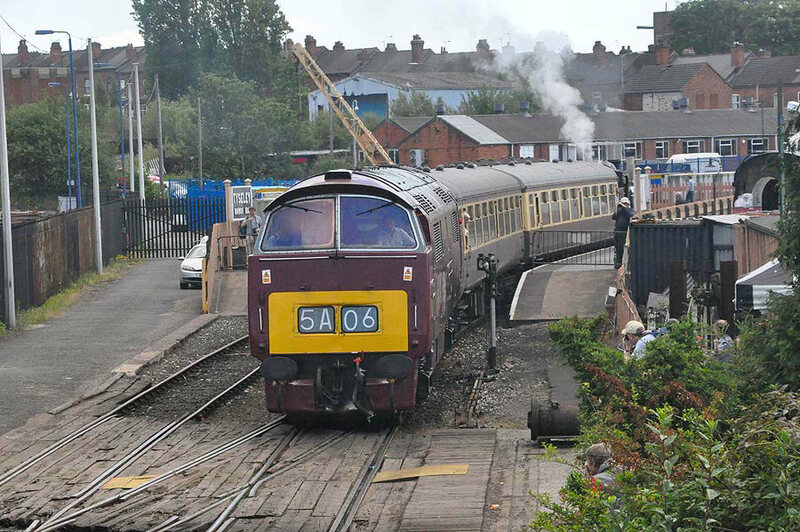 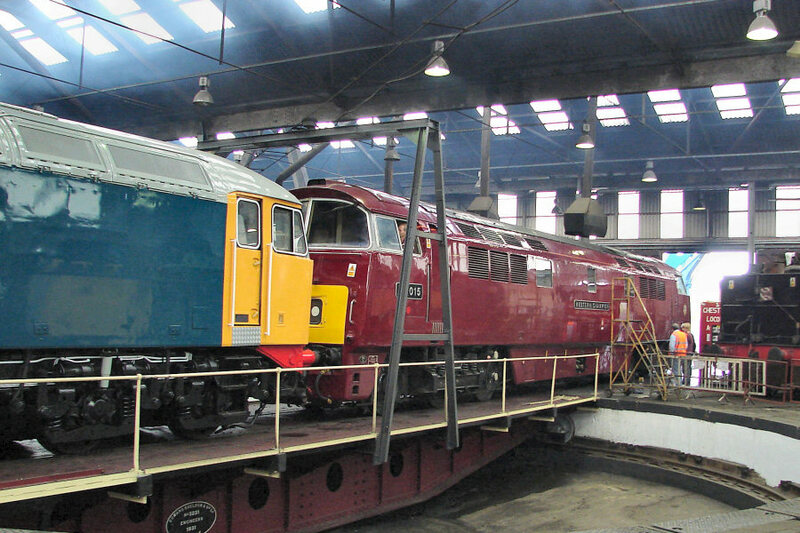 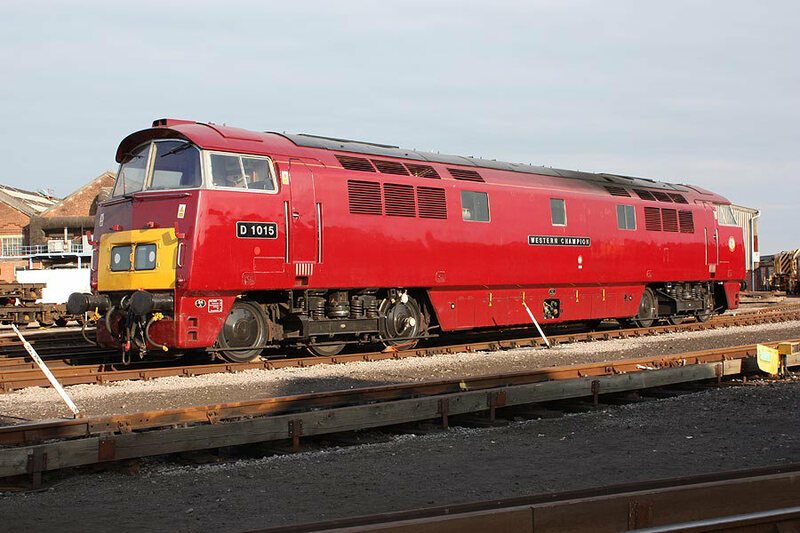 On June 25th and 26th 2011, D1015 was invited for the second year running to attend Tyseley Locomotive Works Open Weekend and was again one of the stars of the show. 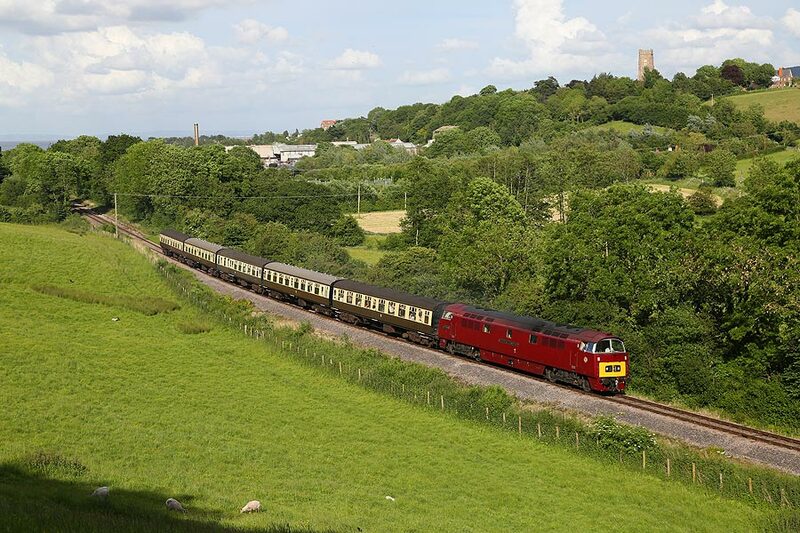 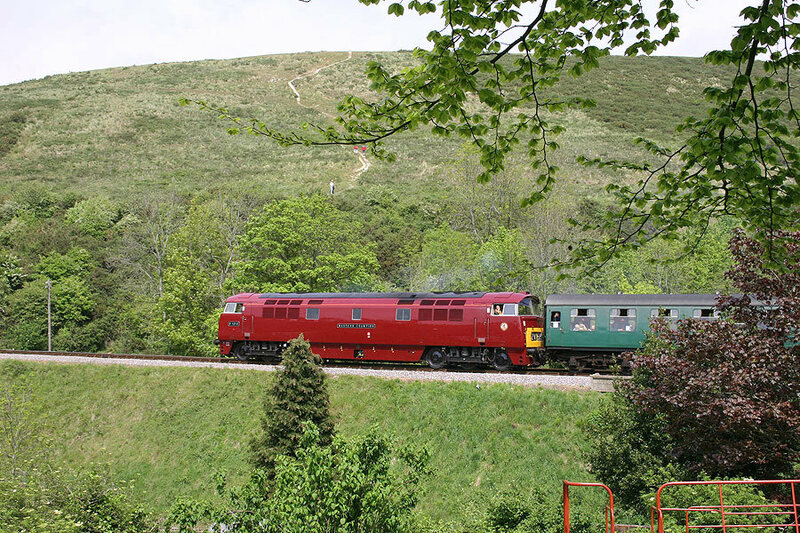 On the Sunday 26th June D1015 ran Top and Tailed with 7752 running as London Transport L94 Pannier Tanker in Red Livery working 10 return trips on the demonstration line. 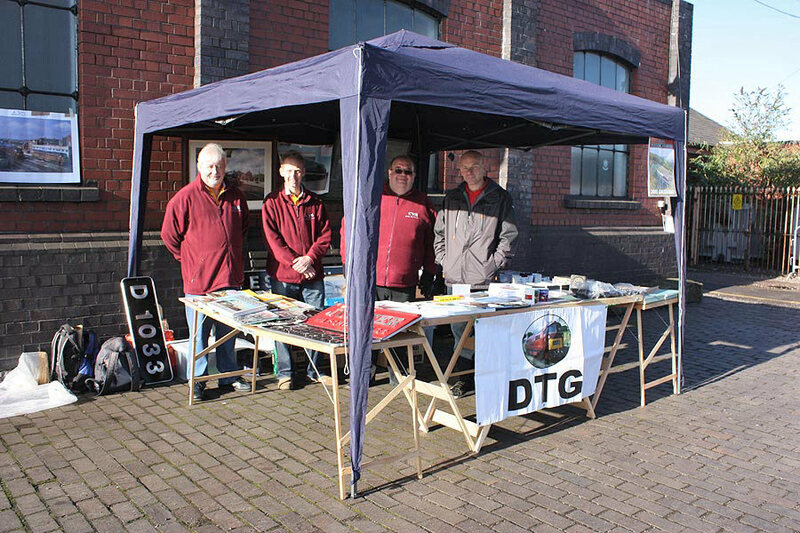 Many thanks to everybody who bought souvenirs from the DTG Sales stand, to DTG Volunteers who manned the stand and to Ben Mason of Vintage Trains for allowing us the opportunity once again. 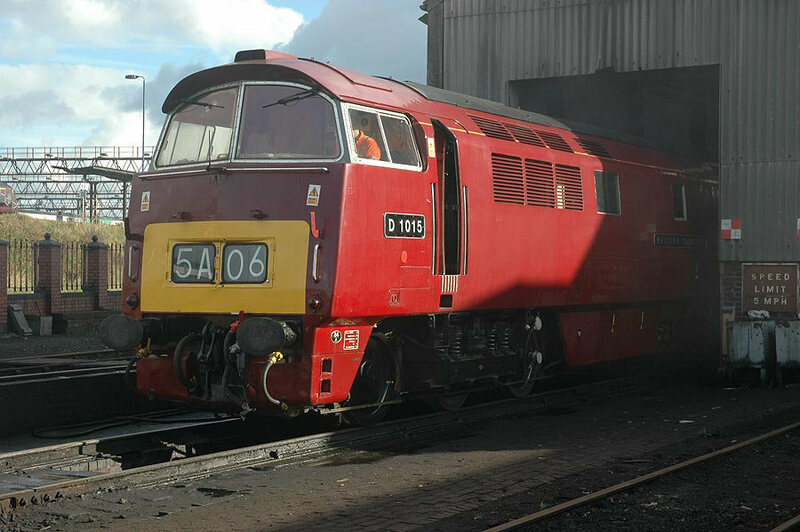 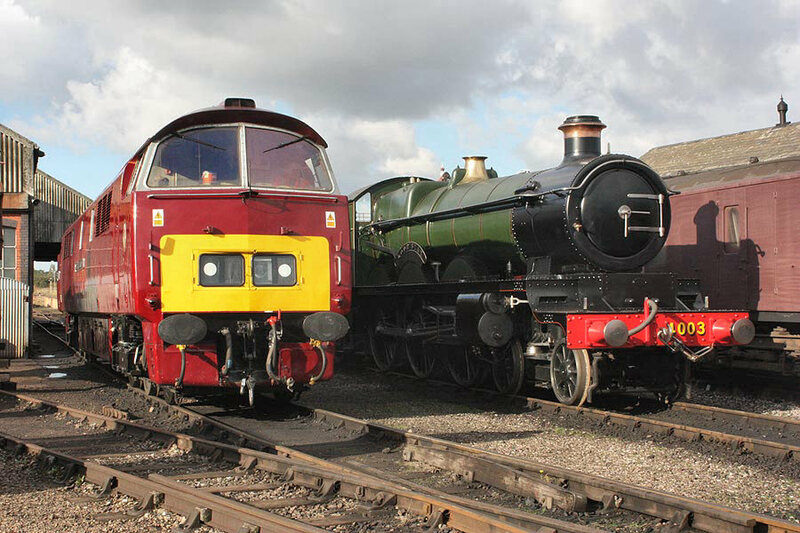 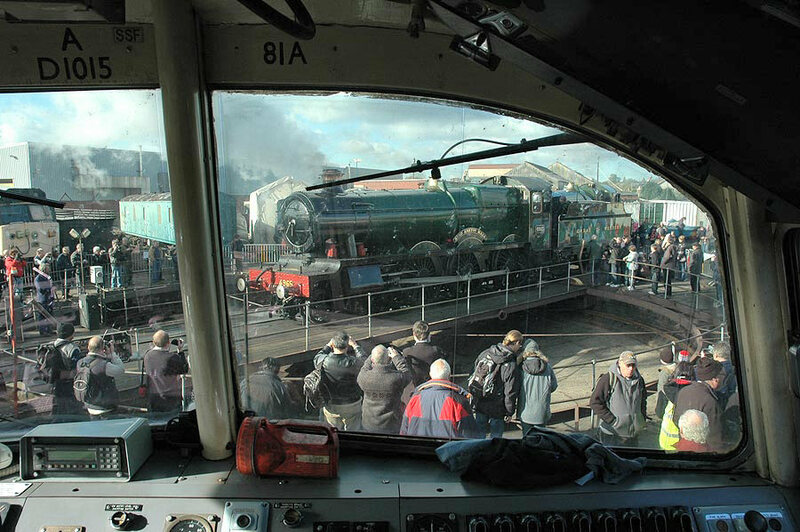 On October 23rd and 24th 2010, D1015 was invited to attend Tyseley Locomotive Works Open Weekend and was one of the stars of the show. 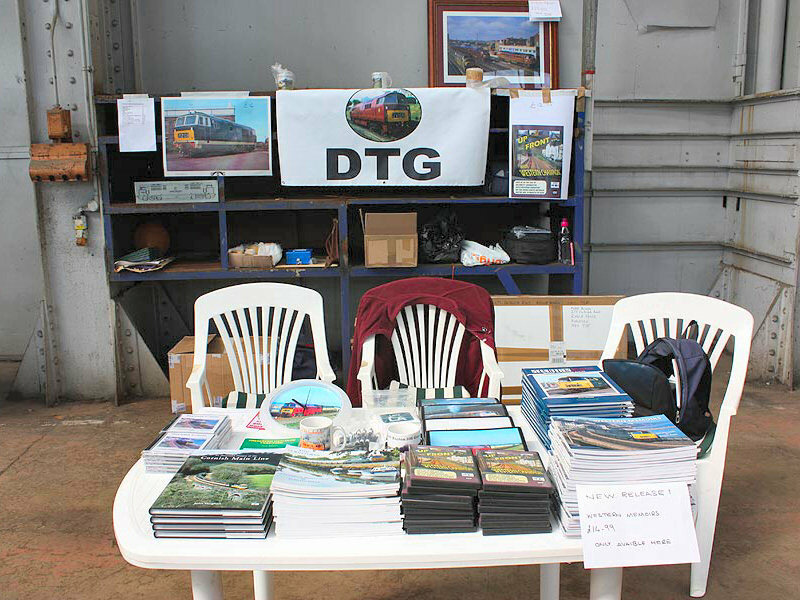 Many thanks to everybody who bought souvenirs from the DTG Sales stand, to DTG Volunteers who manned it and to Bob Meanley of Vintage Trains for allowing us the opportunity. 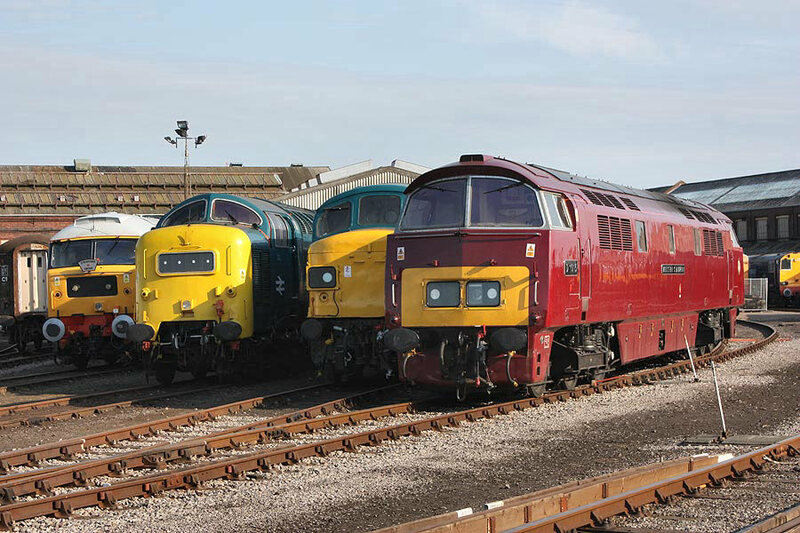 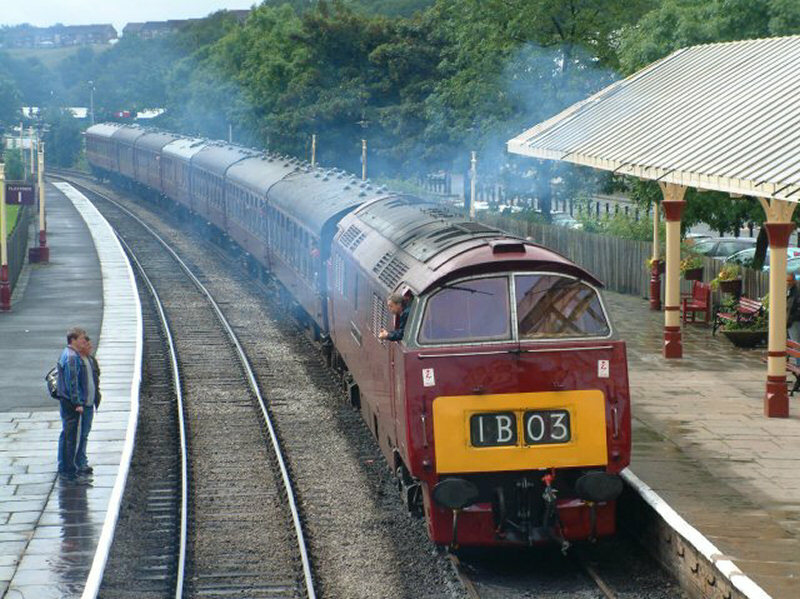 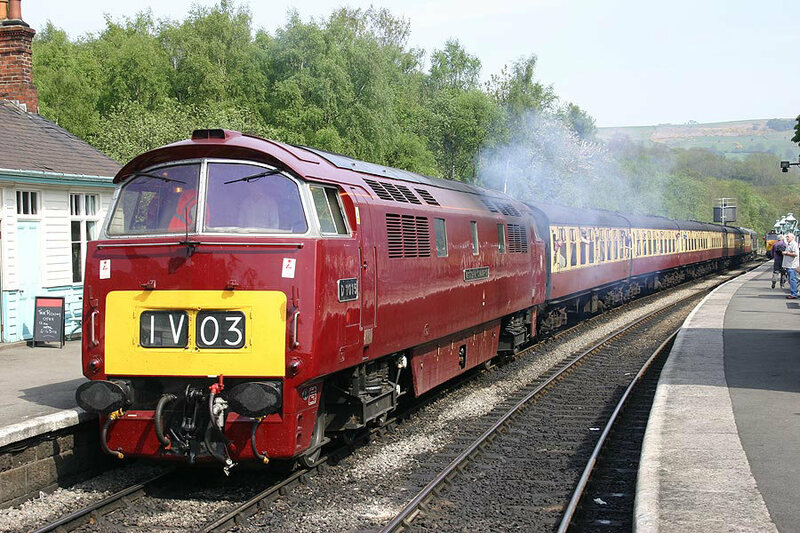 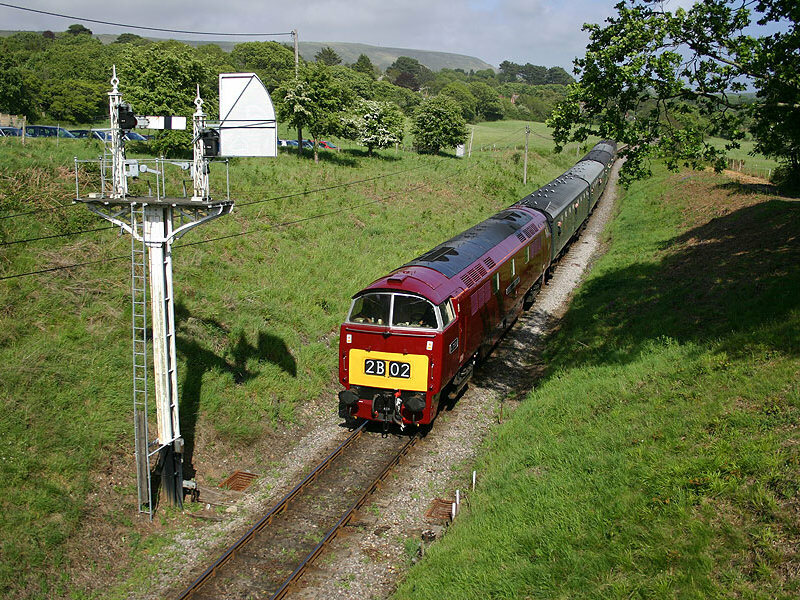 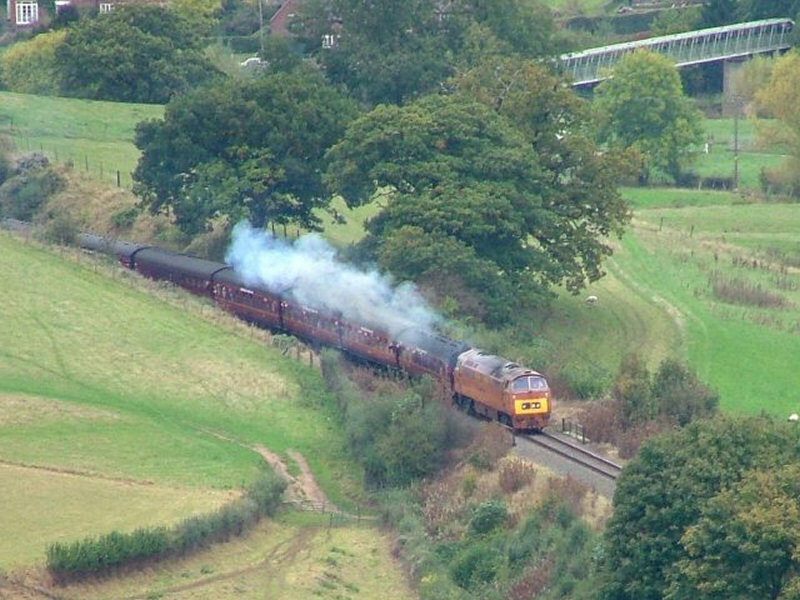 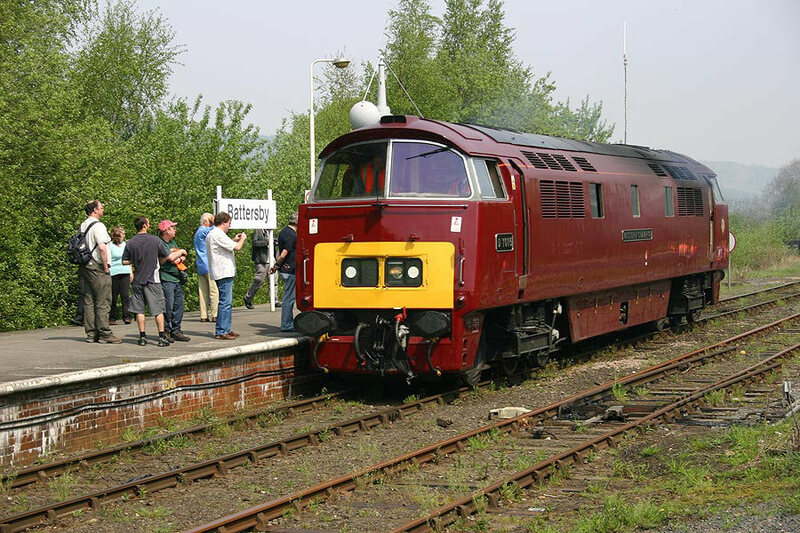 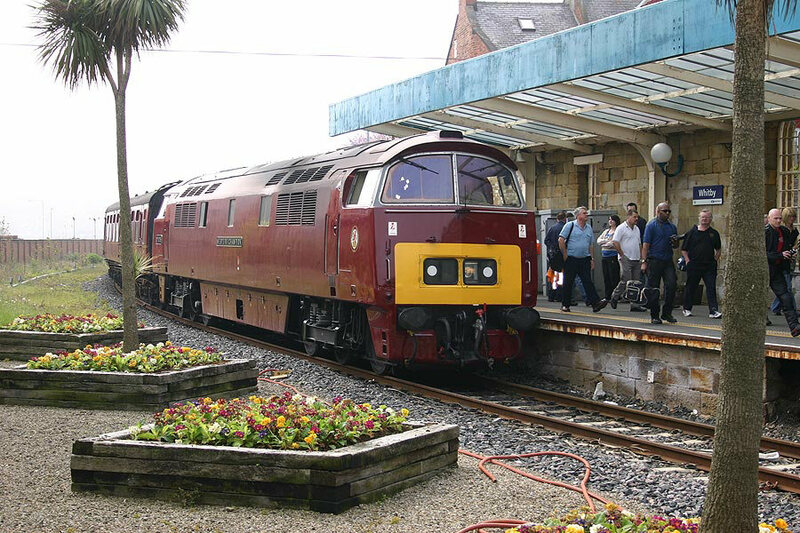 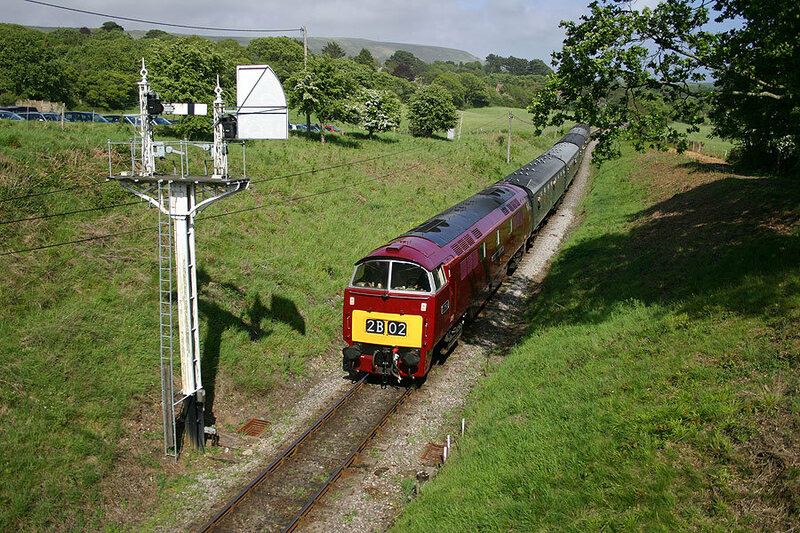 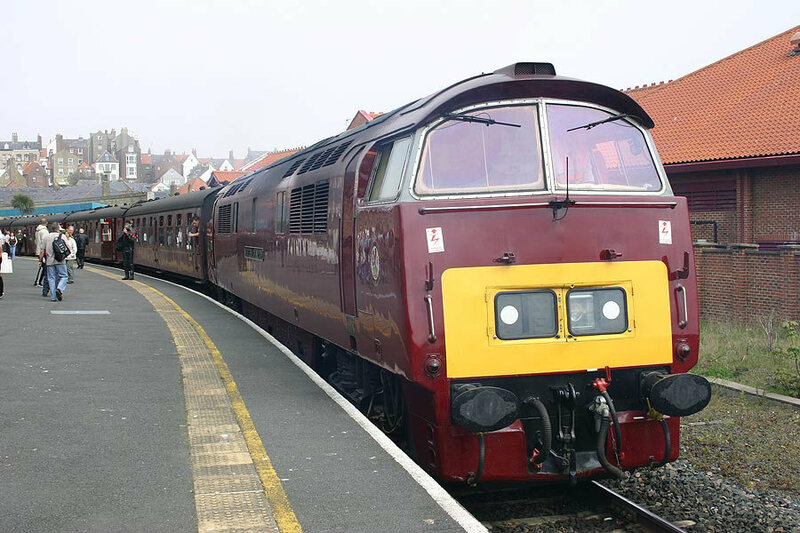 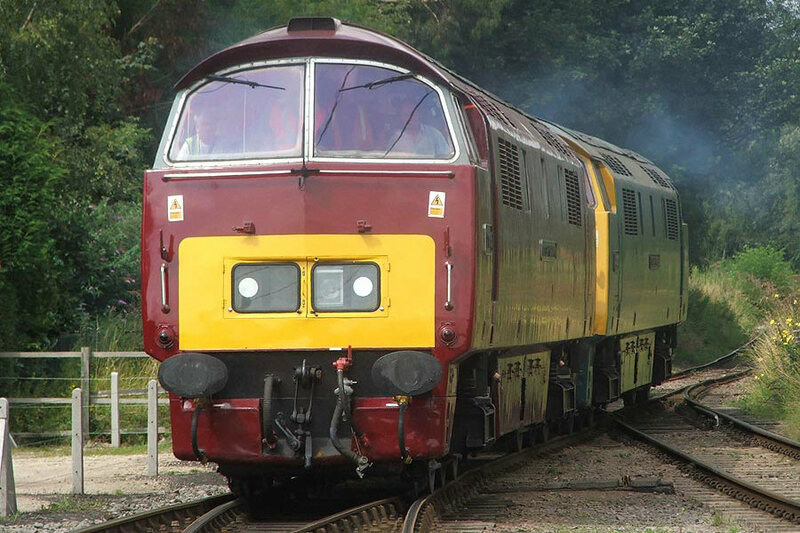 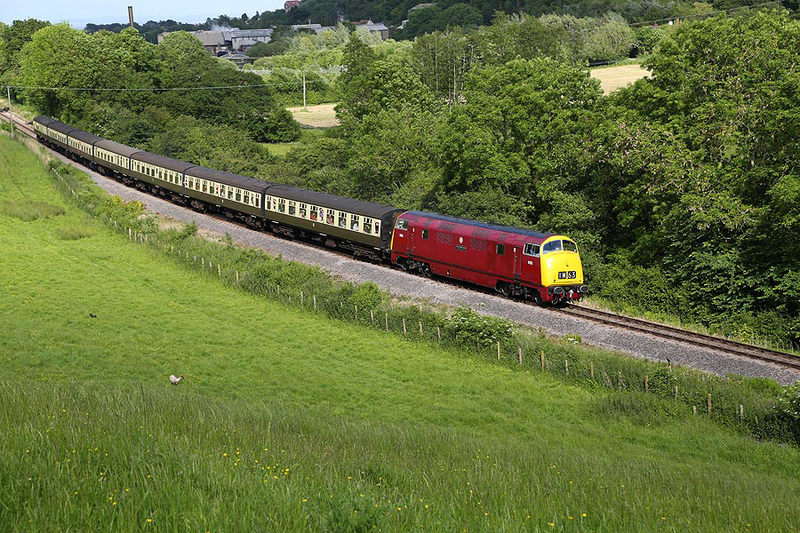 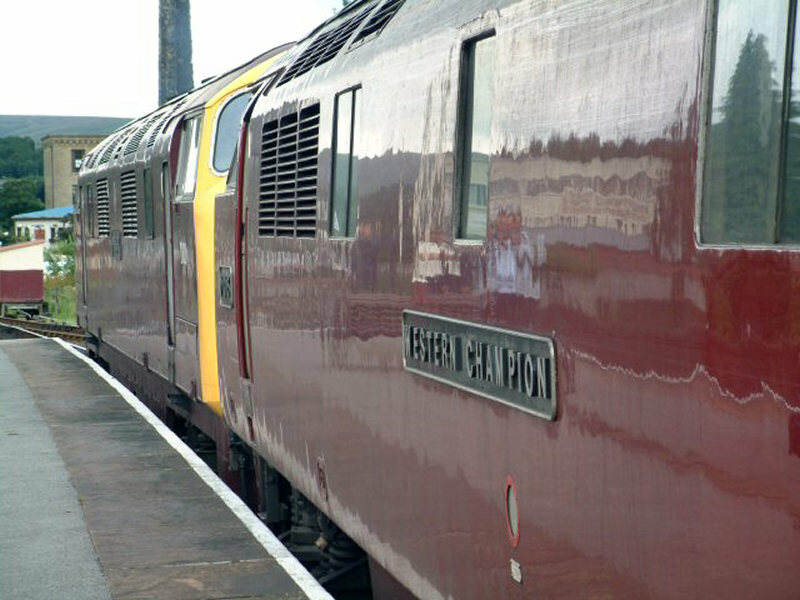 2008 saw Western Champion attending the North Yorkshire Moors Diesel Gala and once again it was the star of the show! 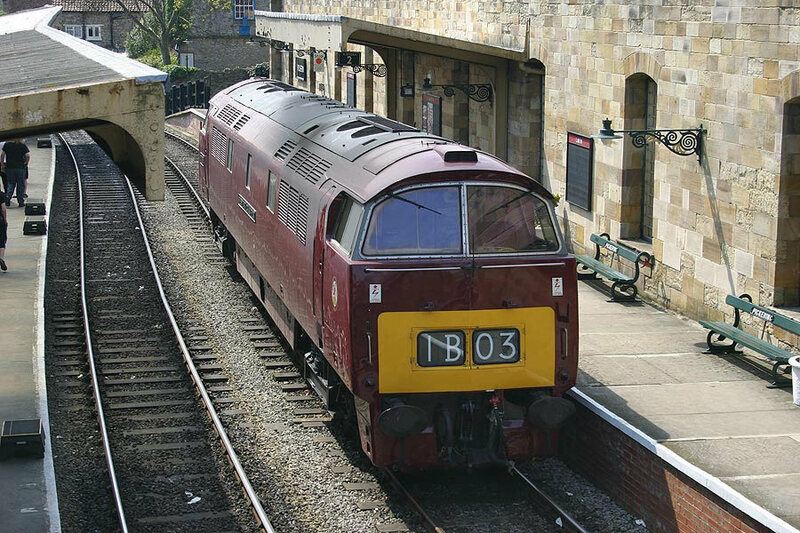 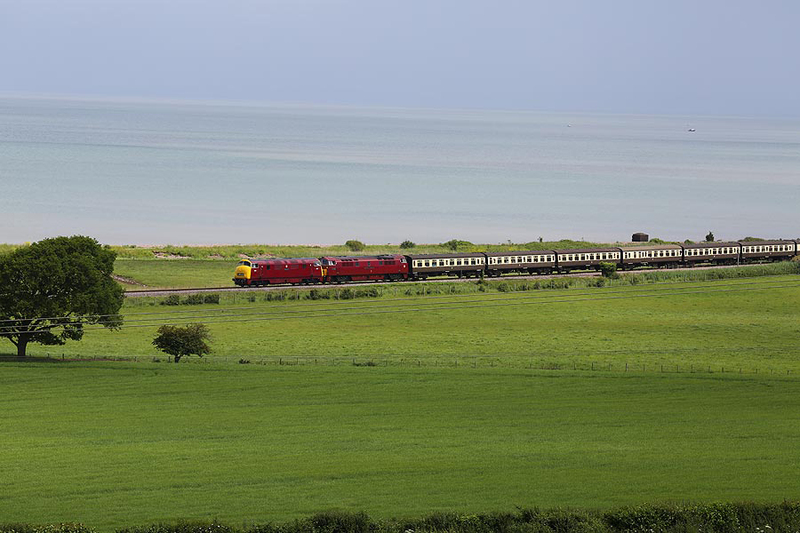 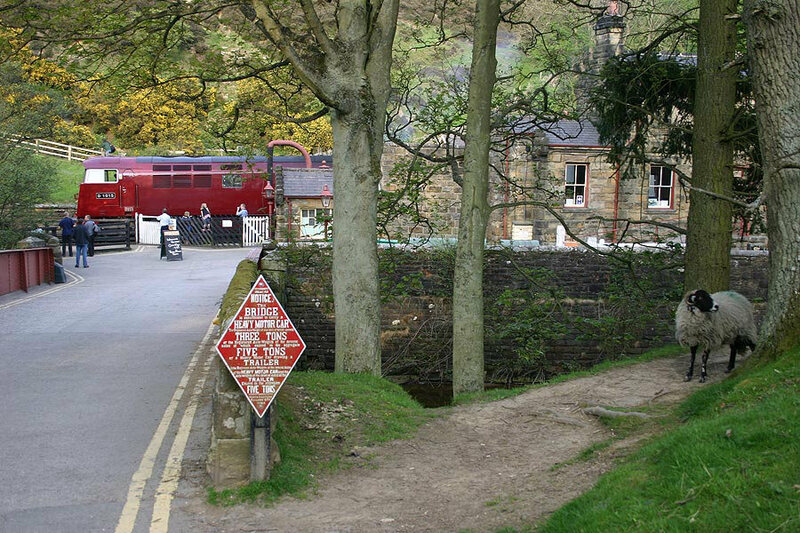 The loco's mainline certification also meant it was able to work the extended services to Whitby and Battersby. 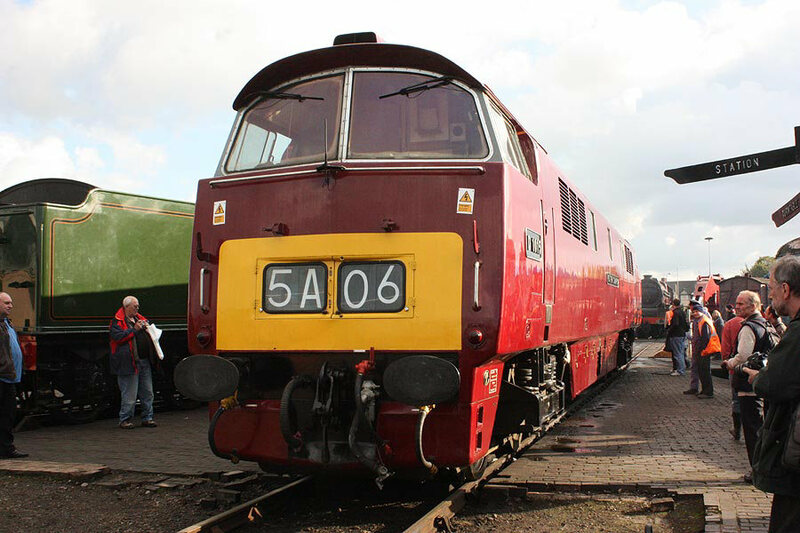 D1015 Western Champion made a guest appearance at the Eastleigh locomotive Works Centenary weekend also DTG Sales made its debut appearance with a stand being manned over three days. 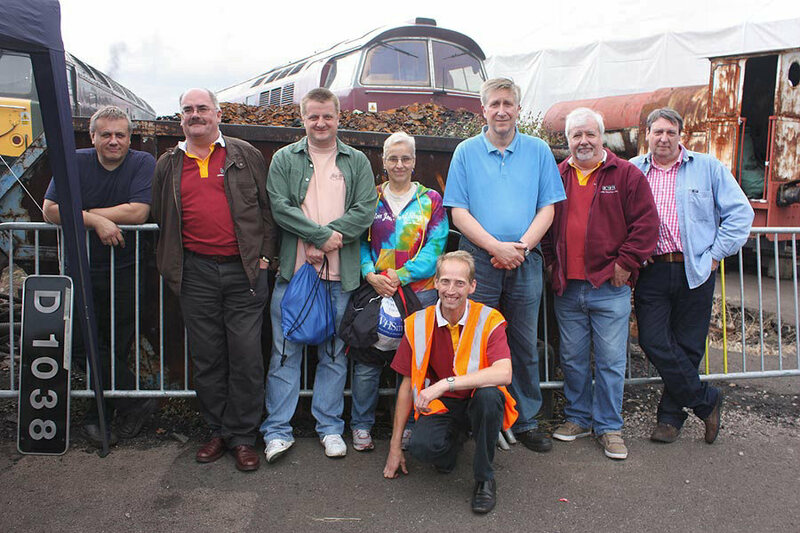 Many thanks to all who purchased merchandise from the stand and to Eastleigh works for their hospitality. 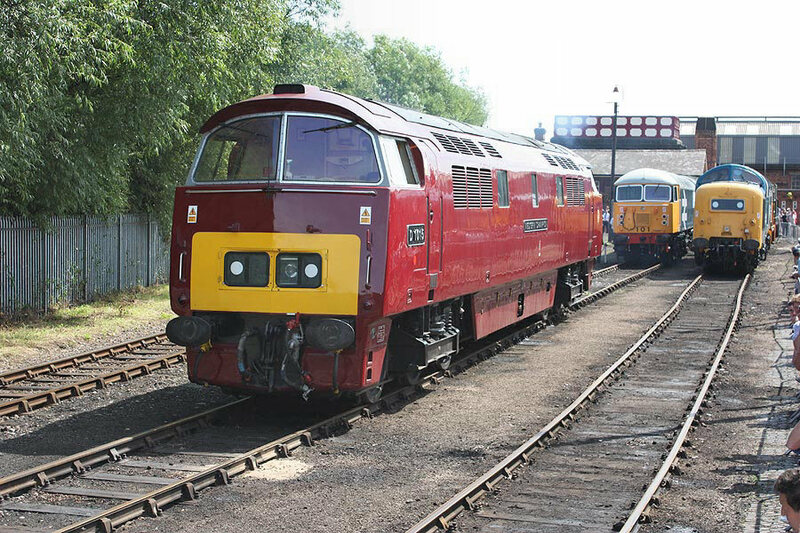 Following 'The Cornishman' railtour on June 23rd, D1015 ran light engine from Bescot to the East Lancashire Railway and was stabled here prior to participating in the Gala. 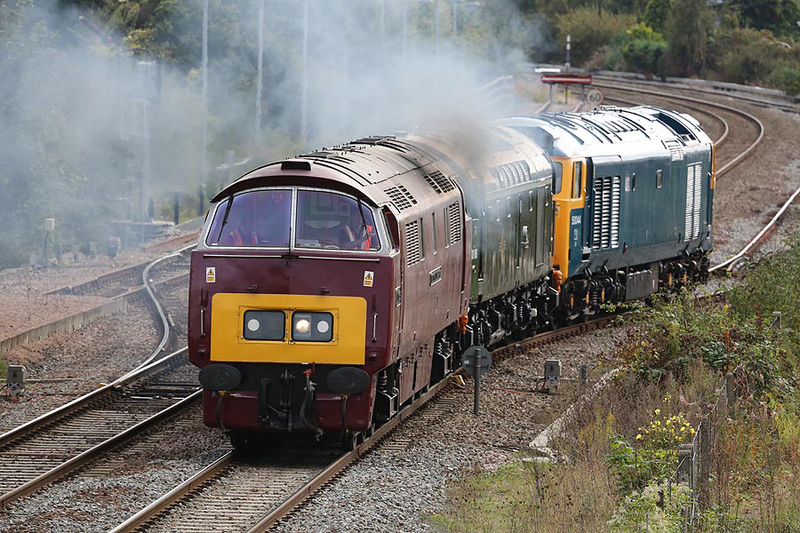 Below are a selection of photos including the highlight which saw double-heading with the Bury Hydraulic Group's Warship D832 'Onslaught'. 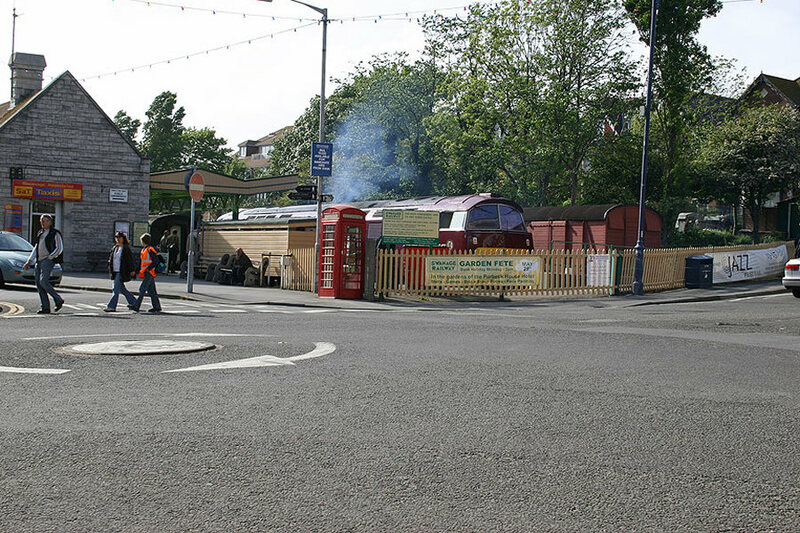 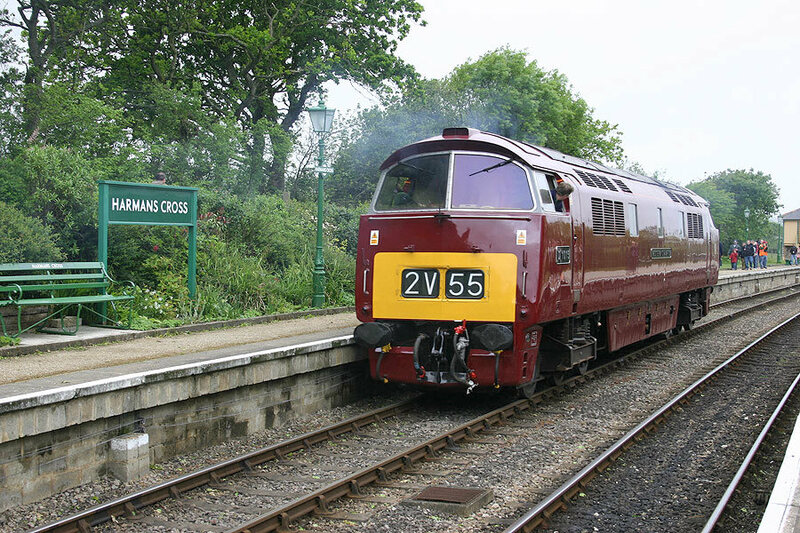 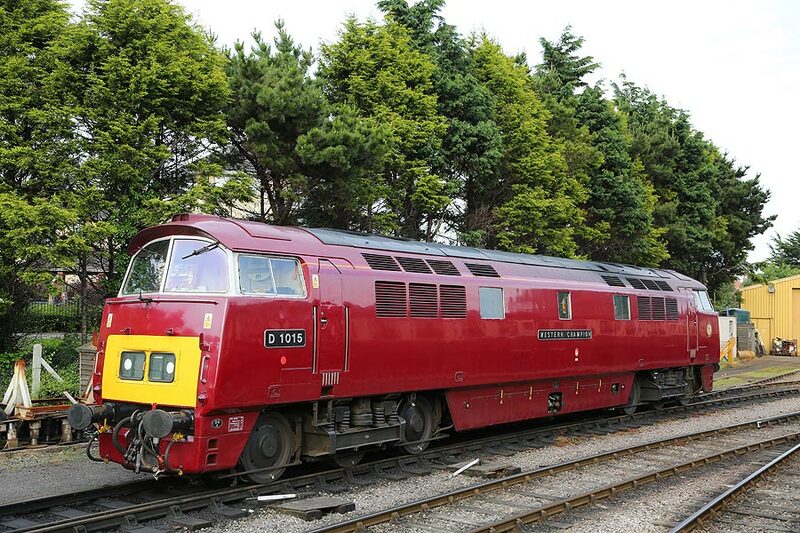 D1015 arrived at Swanage on Thursday 10th May from Old Oak Common after being hauled dead by Electro Diesels 73136 and 73208 which were also attending the event. 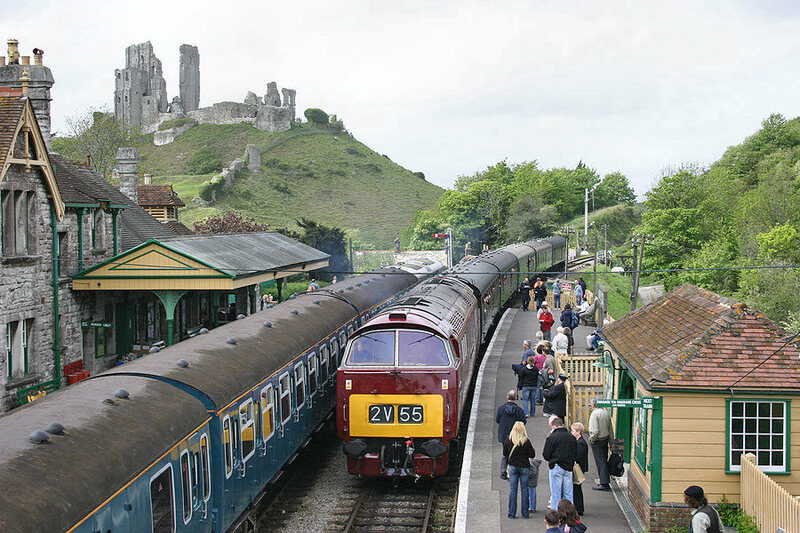 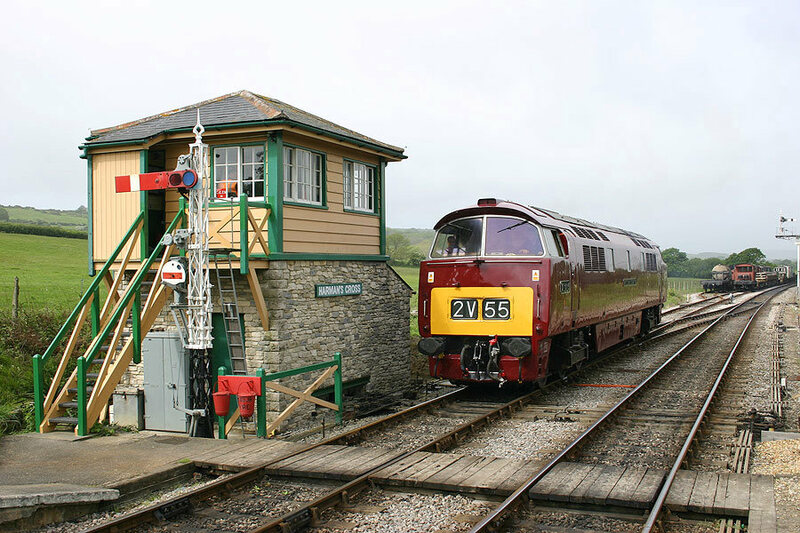 D1015 then worked its diagrammed Passenger workings from Friday to Sunday from Swanage to Corfe Castle and Norden and back. 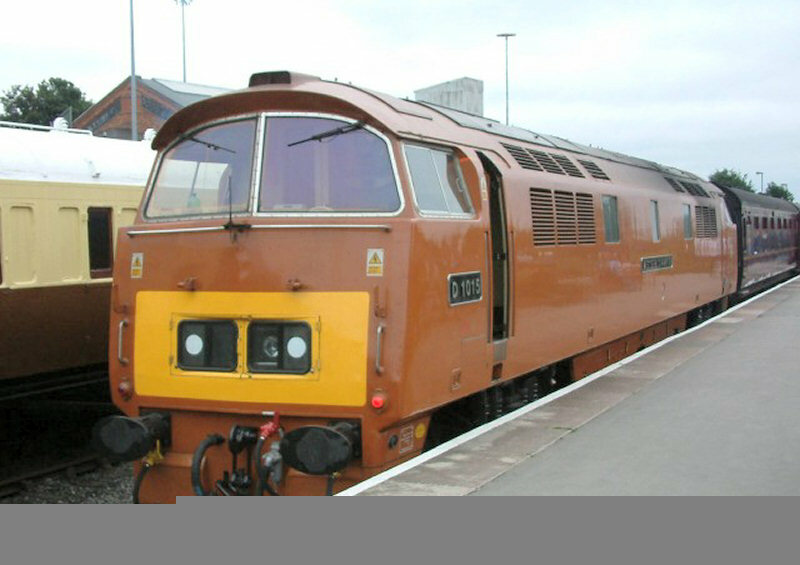 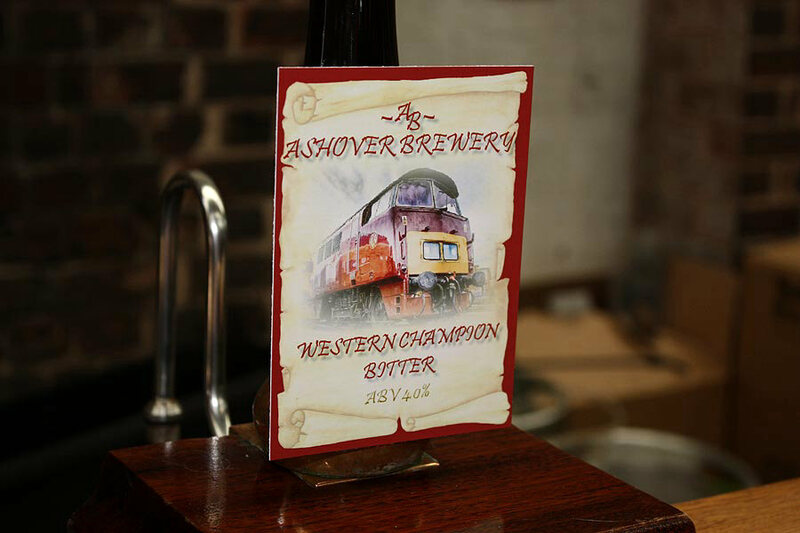 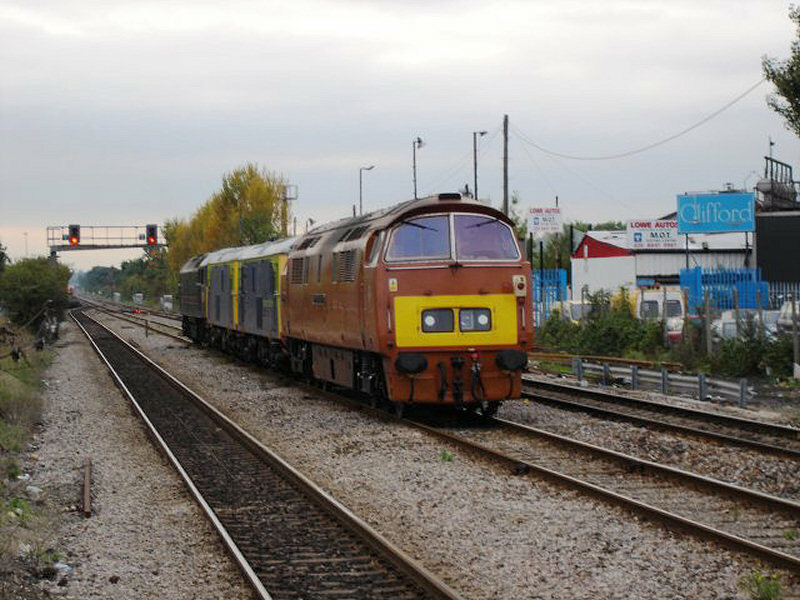 Western Champion made its Diesel Gala debut attending the Severn Valley Railways Diesel Gala in October 2005. 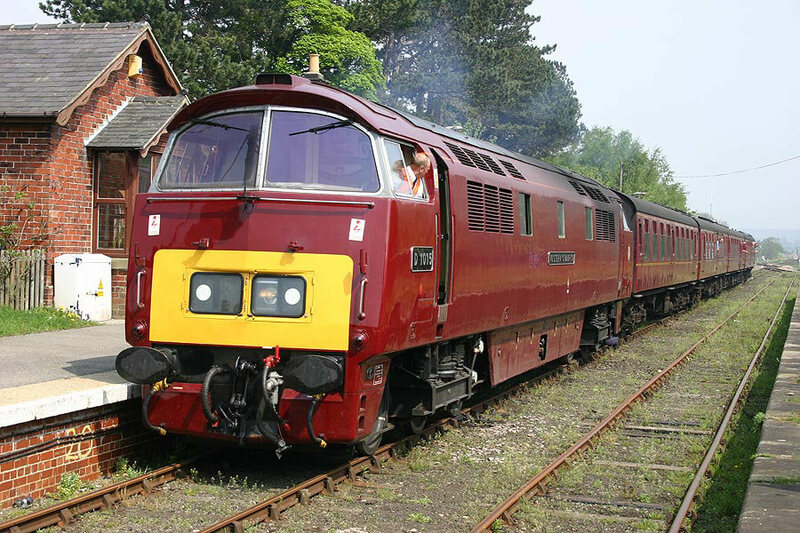 Unfortunately D1015 was stopped at the Gala due to an electrical fault, this was traced to a converter relay and was later rectified. 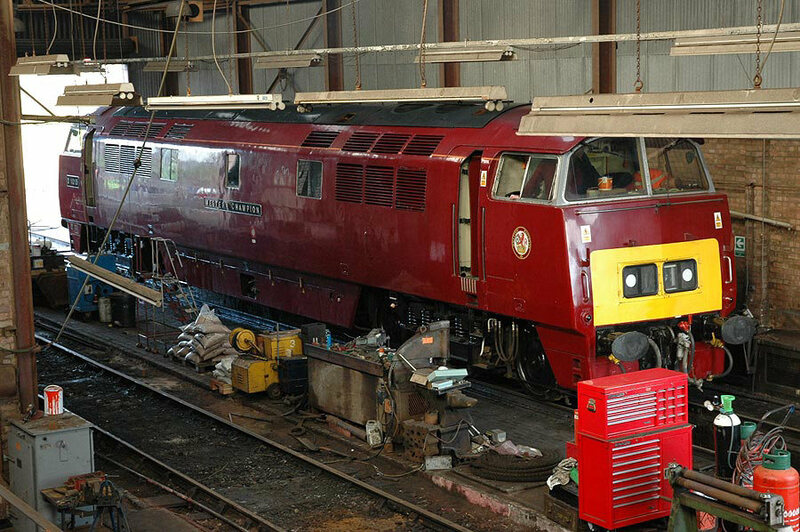 After the Gala the loco remained at the Valley for driver training before returning home to OOC in the 2nd week of November.